It's time to decorate your room with this gorgeous carpet. 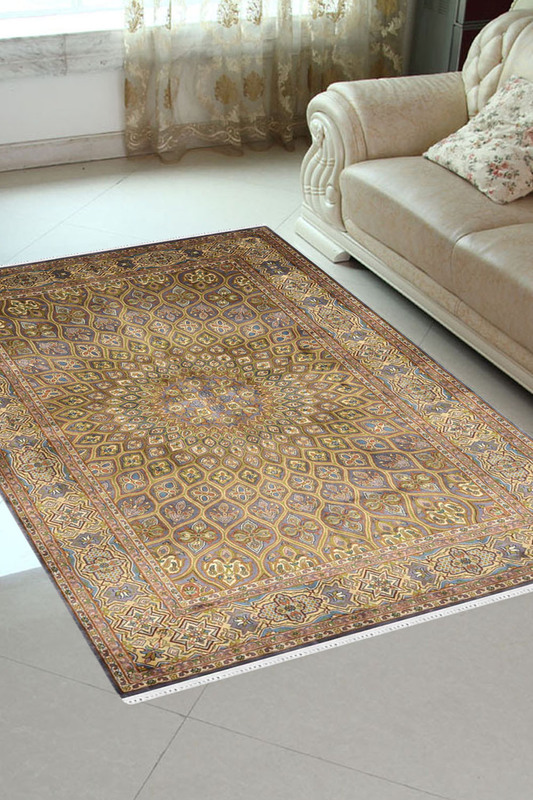 This is in 100% silk on silk carpet with very soft and cozy touch. This is ideal for your living area and can also be used as a wall hanging. - The peacock Ardabil is a very beautiful carpet in pure silk. - It has a really exquisite design in the finest pattern. burial place of Shaykh Safi al-Din Ardabil. - It has taken around 11 months to weave. - In the center, the design is inspired by the feather of a peacock. - It has a very beautiful border with the tiny floral pattern. - The primary colors are gold, blue, lilac, green. - In this carpet ground in silk and also top in silk (warp and weft both are silk).